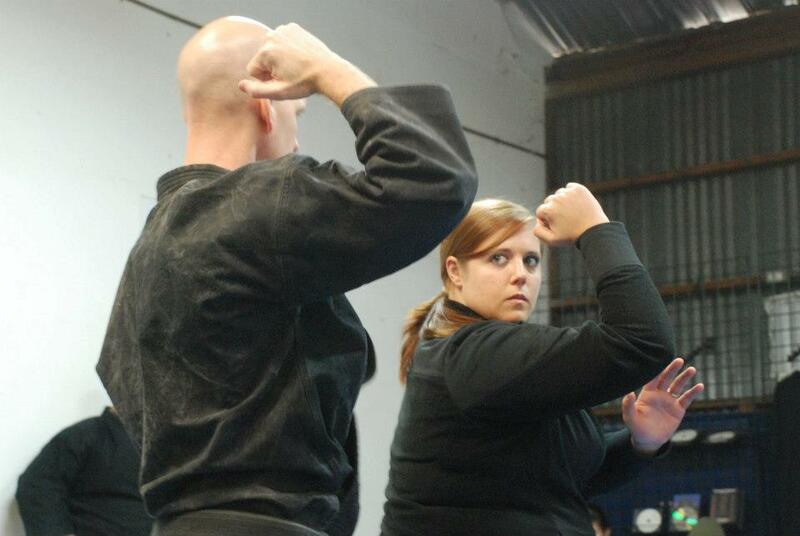 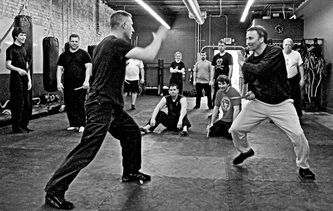 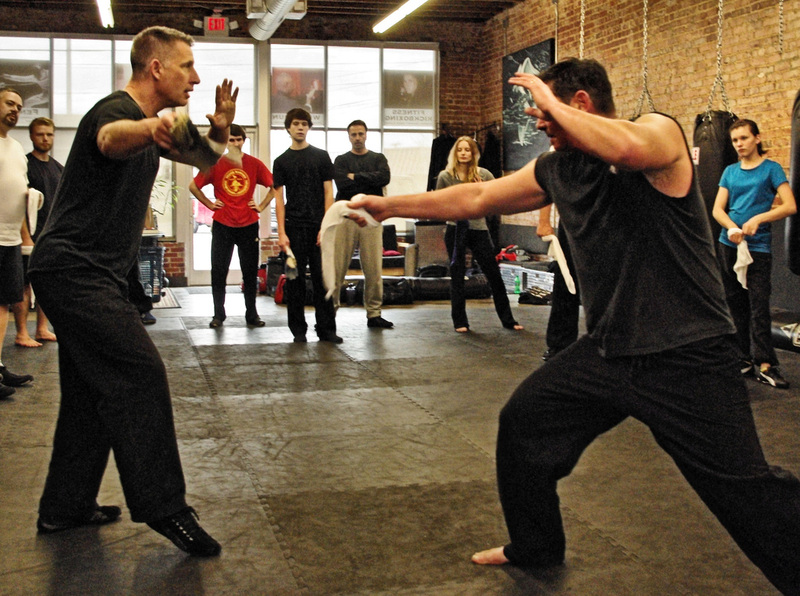 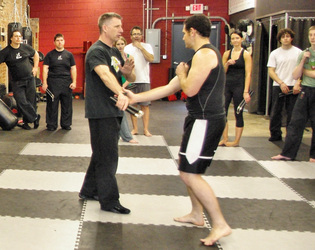 Knife Handling & Tactics Seminar by Trevor Haines 3/9/2013 in Chattanooga, Tn. 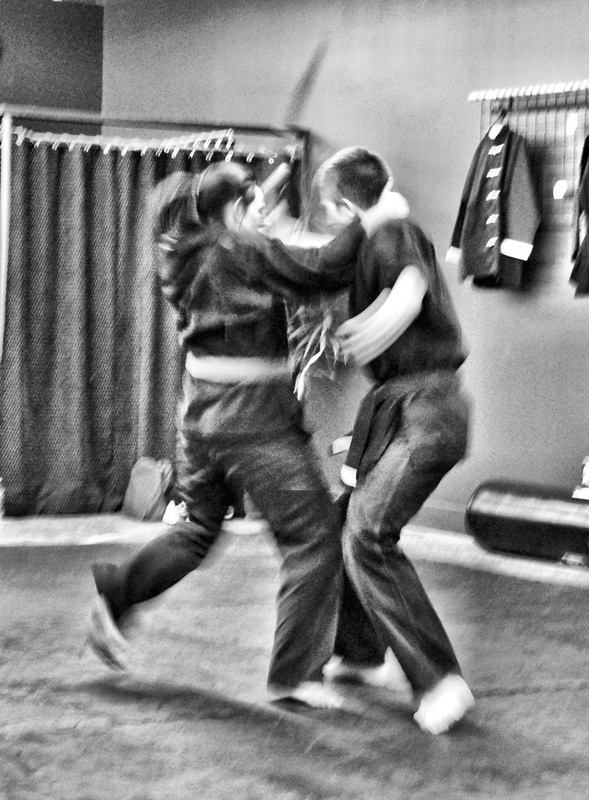 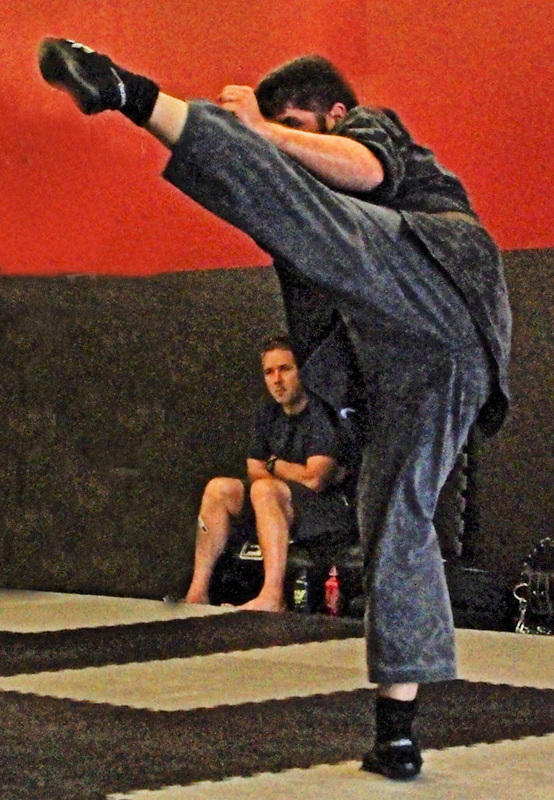 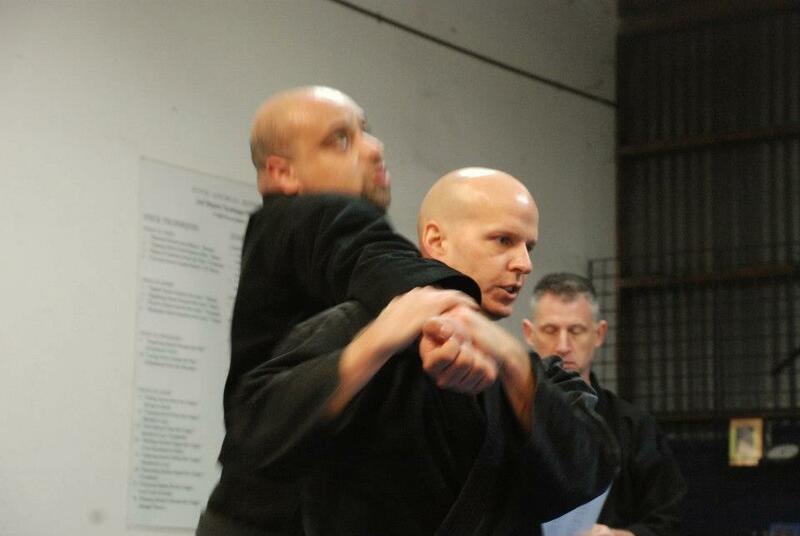 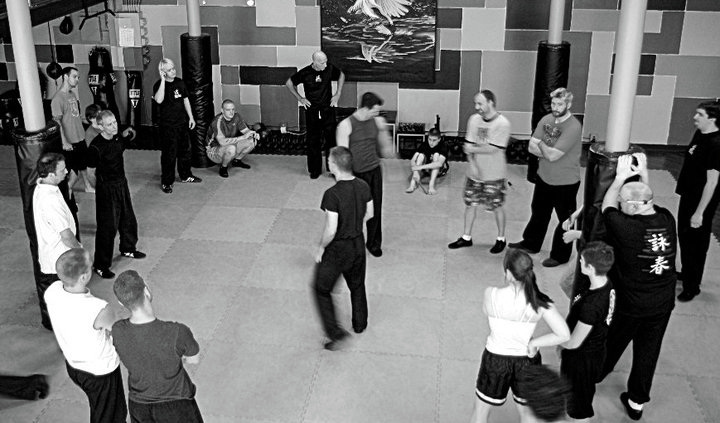 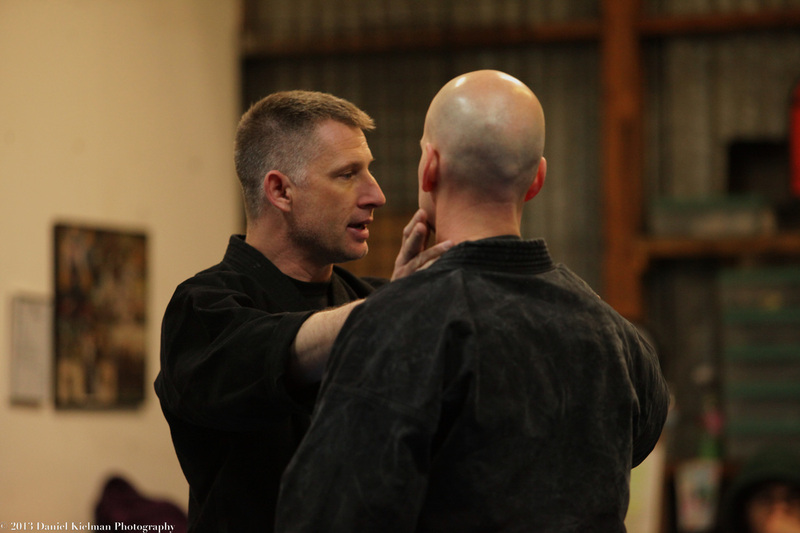 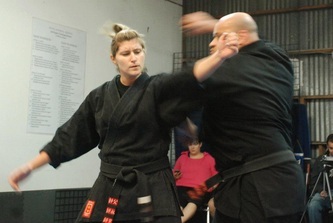 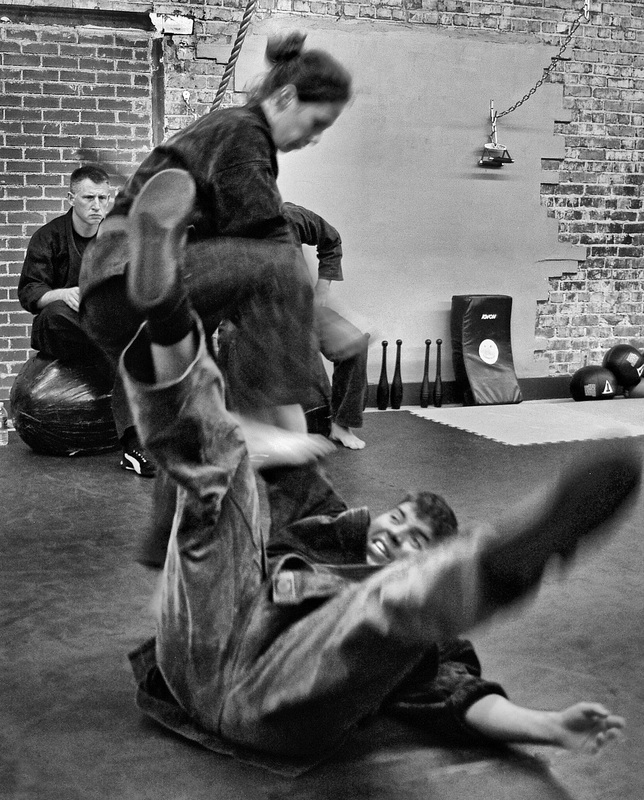 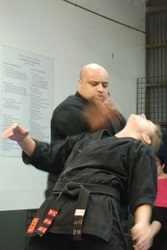 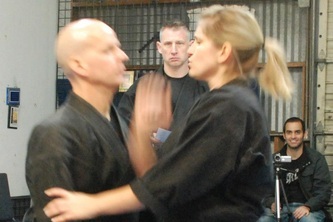 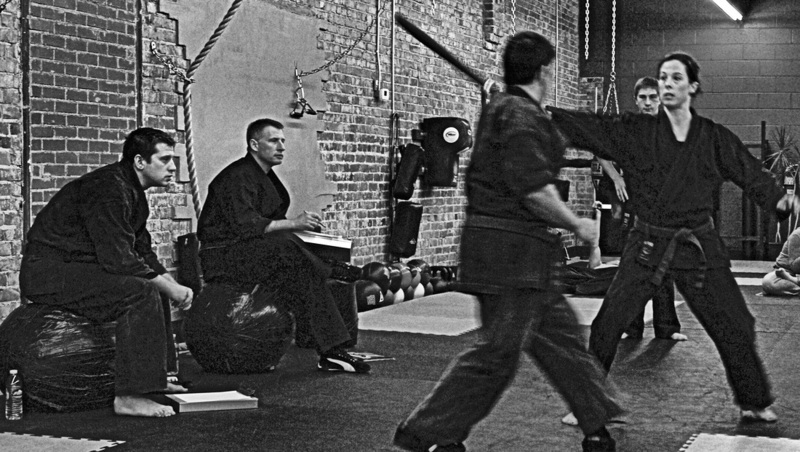 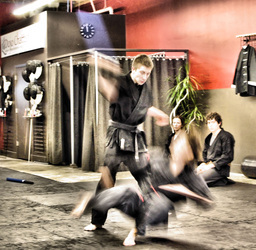 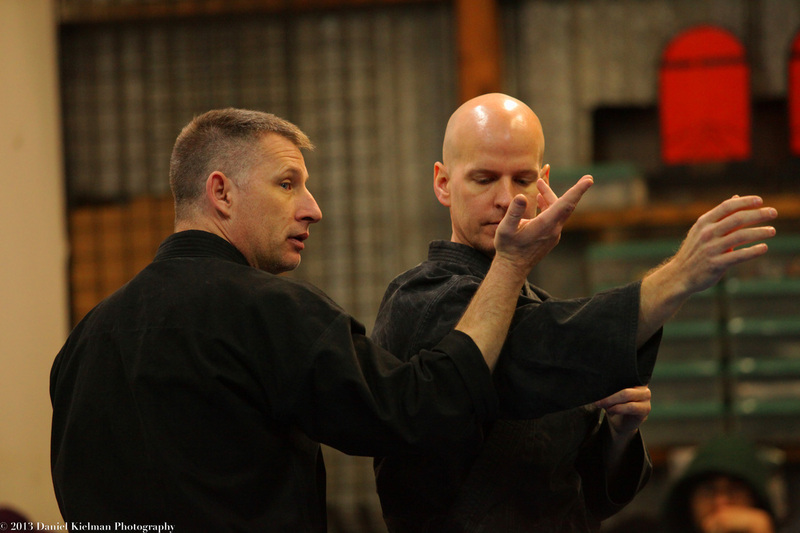 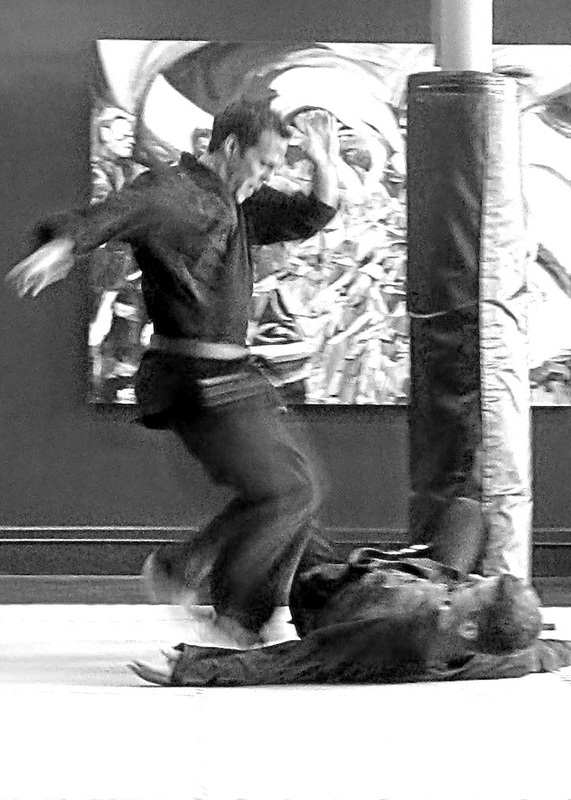 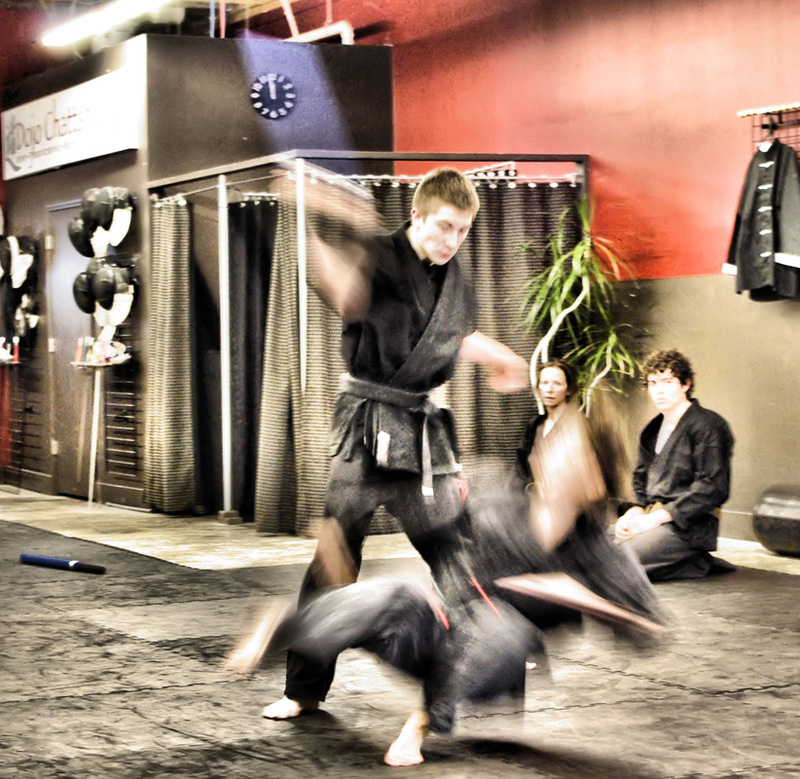 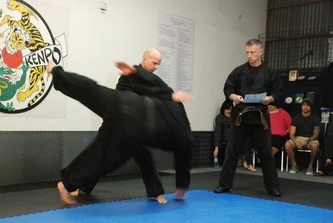 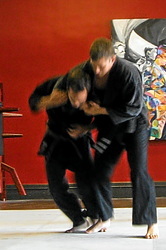 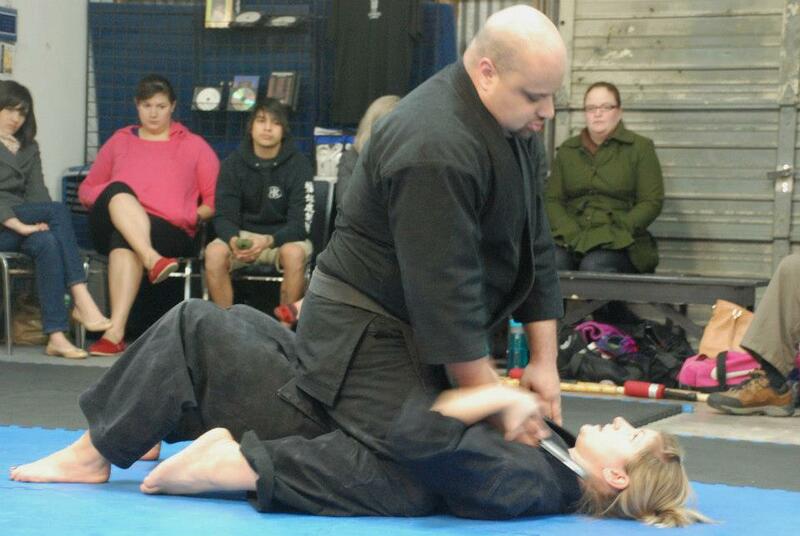 Held at Dojo Chattanooga. 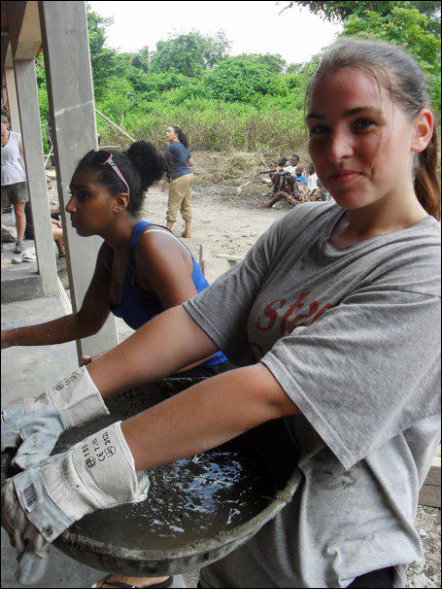 Photos by Leslie Harrelson. 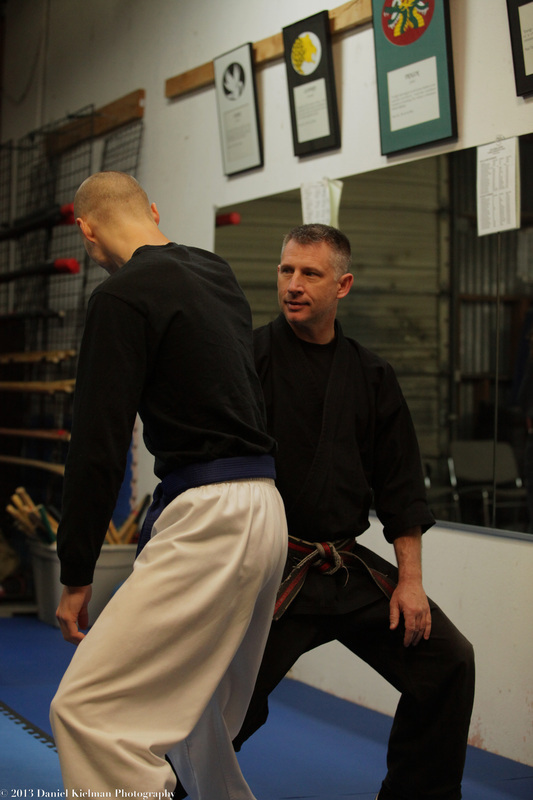 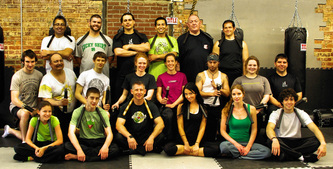 Seminar by Trevor Haines 2/9/2013 in Sacramento, Ca. 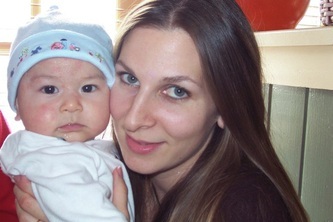 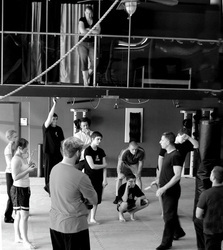 Hosted at Annie (Thomas) Moniz's Studio. Photos by Daniel Kielman. 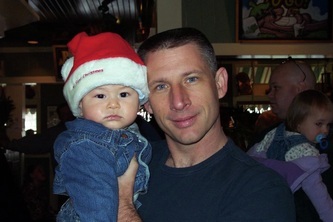 4th Deg. 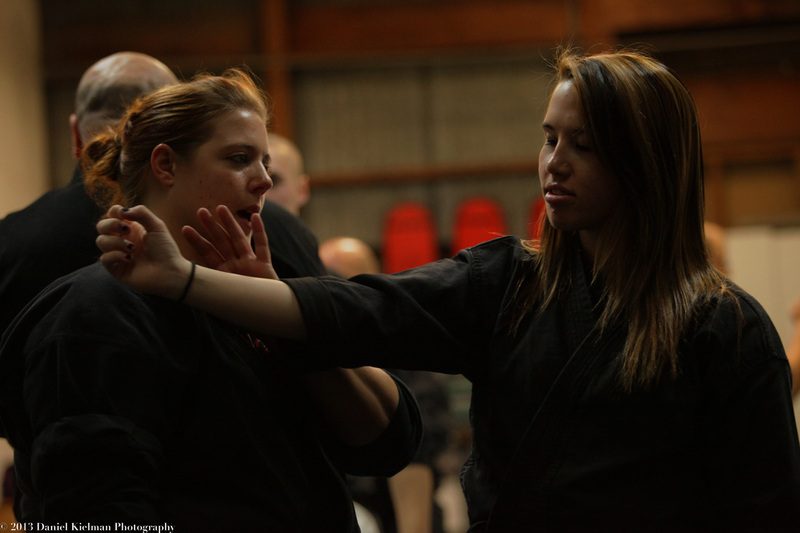 Black Belt Test 2/8/2013 in Sacramento, Ca. 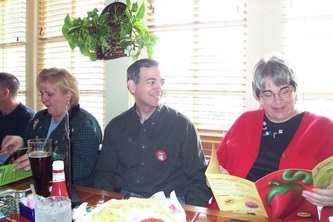 David Campbell, III, Diana-Lyn DeCarlo, Robert McClung. 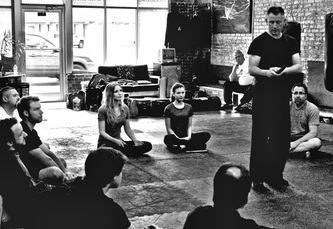 Conducted by Trevor Haines at Annie (Thomas) Moniz's Studio. Photos by Richard Fox. 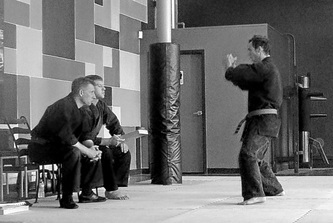 Black Belt Testing 7/14/2012 at Dojo Chattanooga. 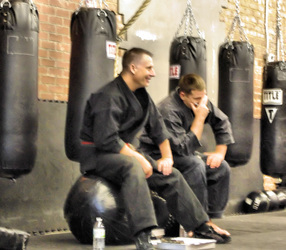 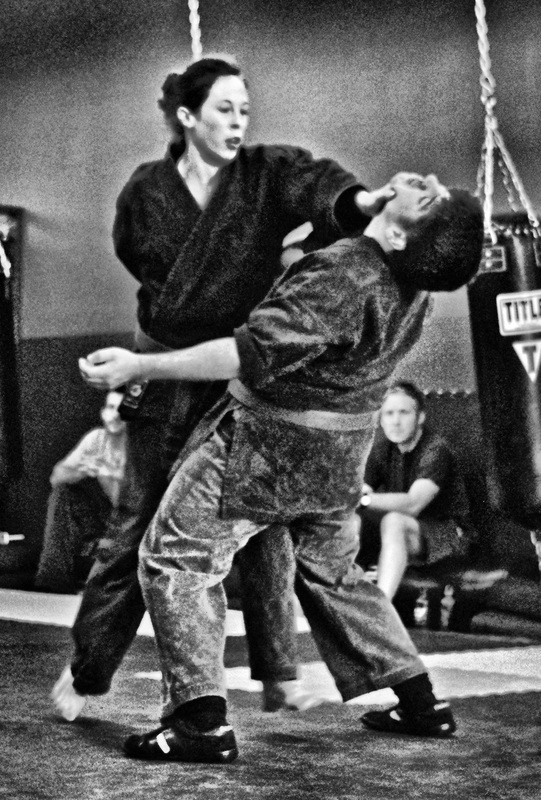 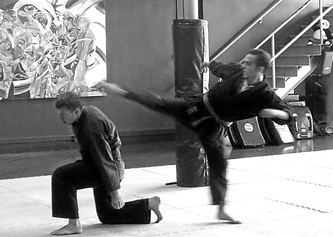 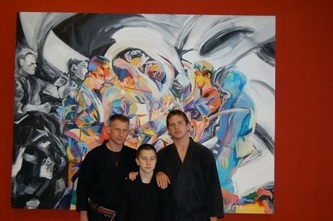 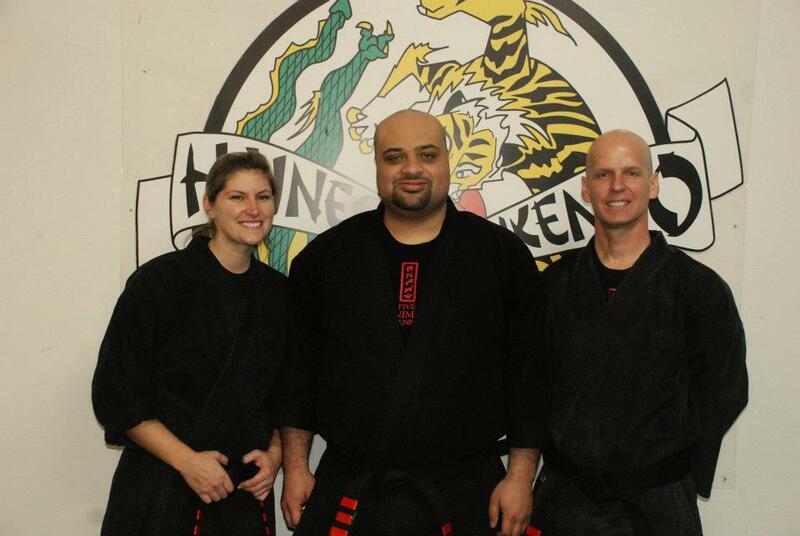 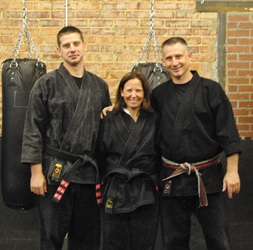 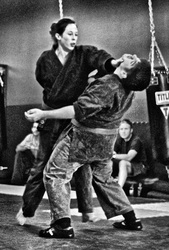 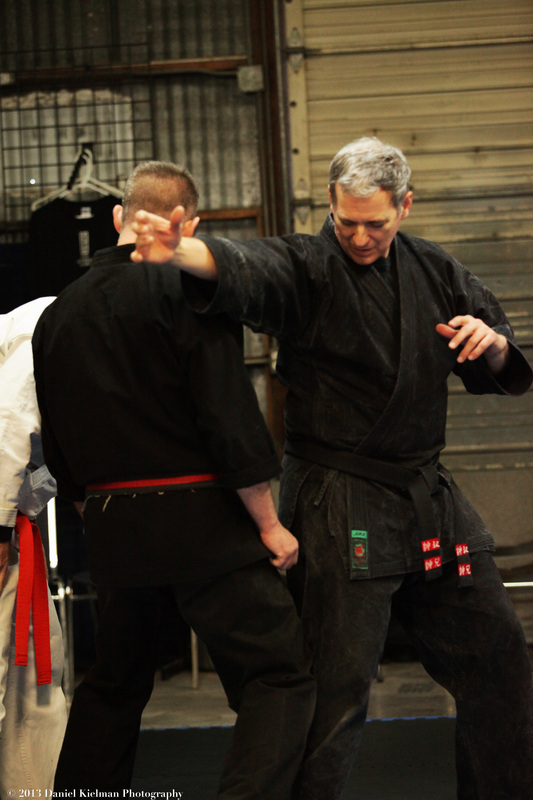 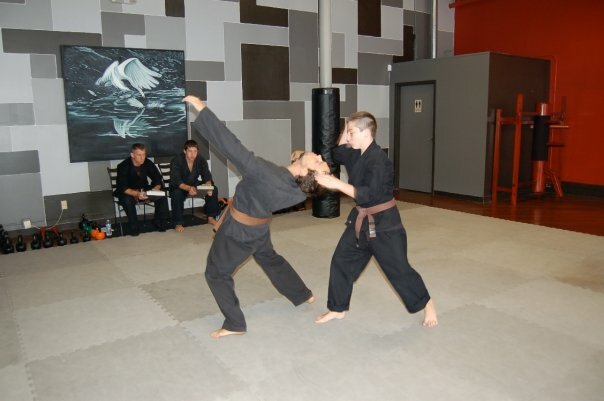 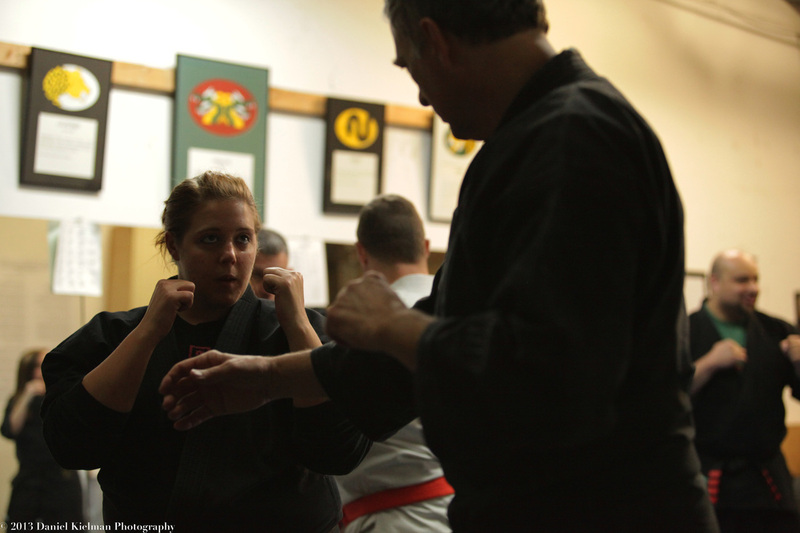 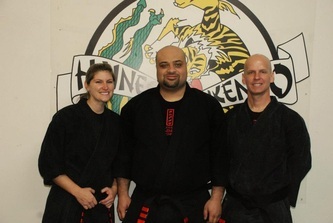 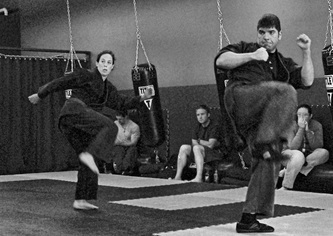 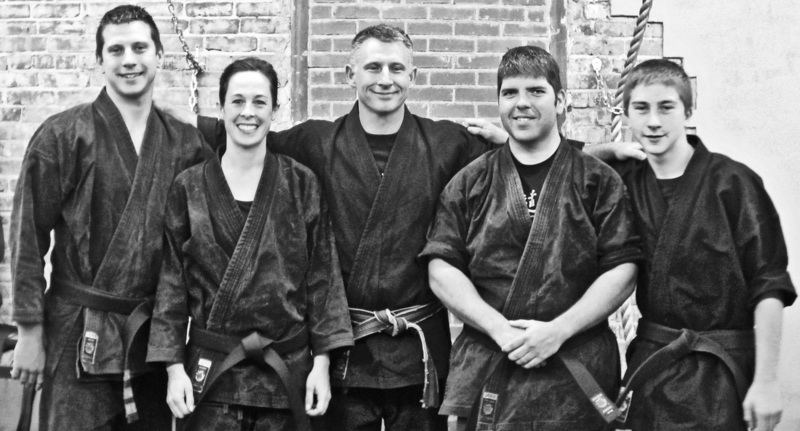 Jacob Haines (Jr. Nidan), Sharon McDarmont (Shodan), David Ormaza (Shodan). Conducted by Trevor Haines and Zachary Haines. 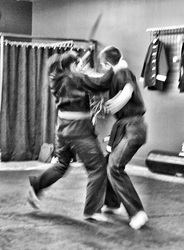 Photos by ljh. 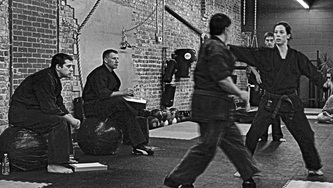 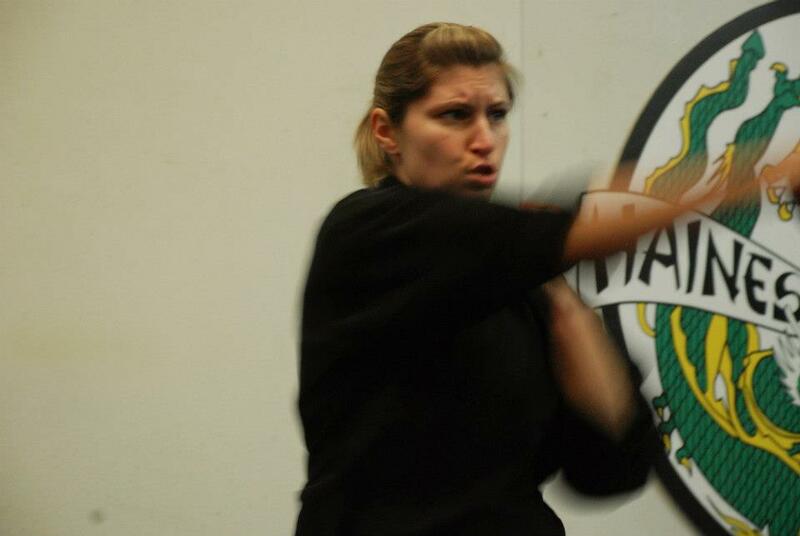 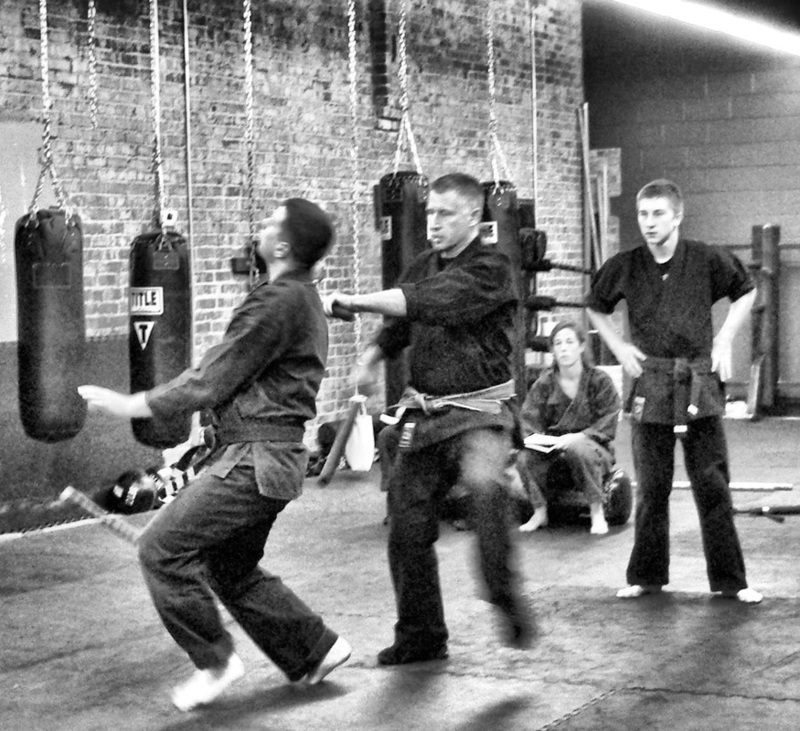 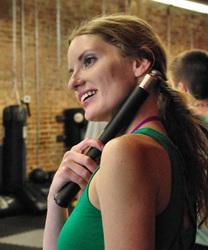 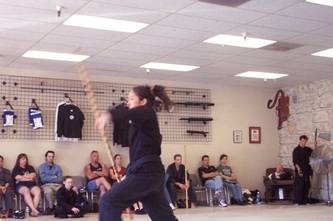 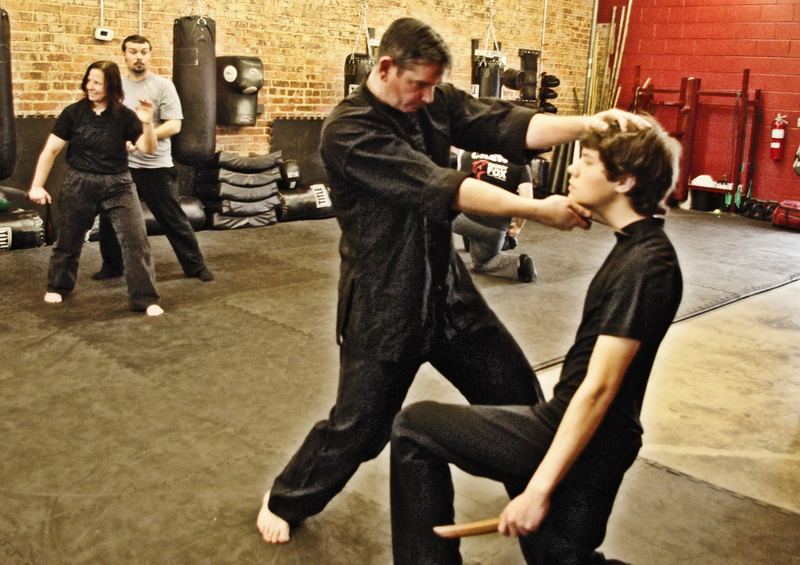 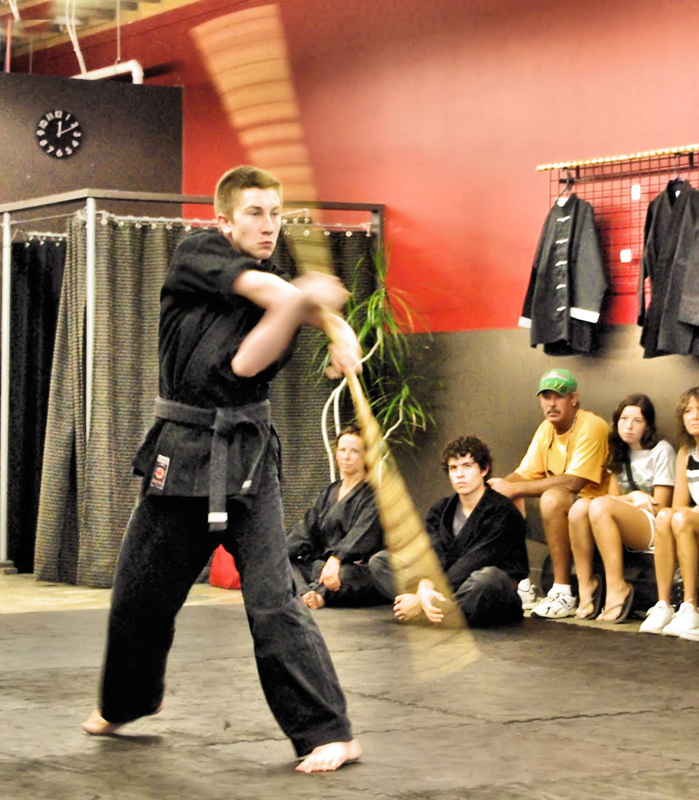 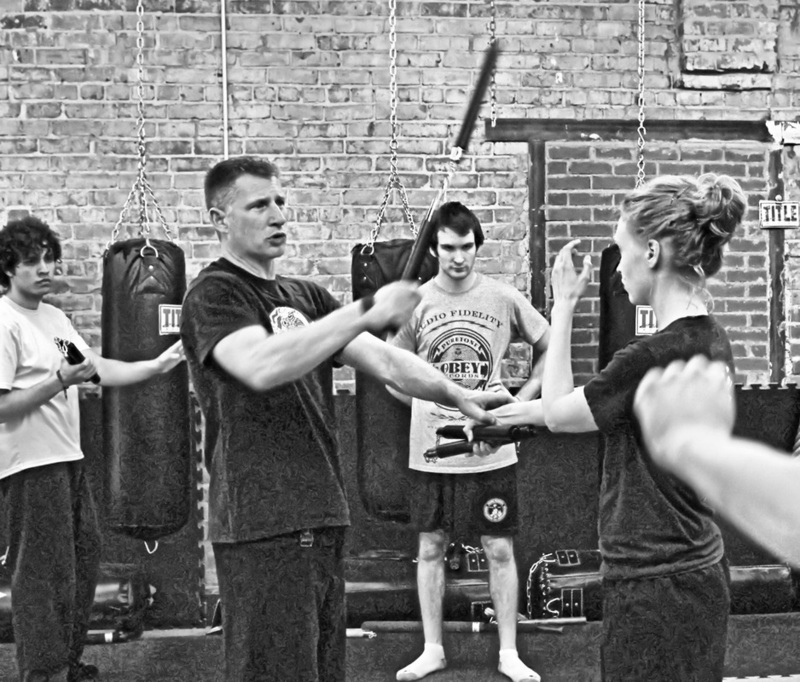 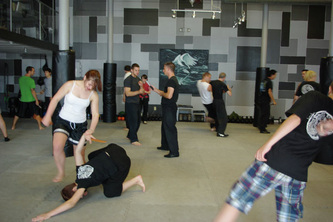 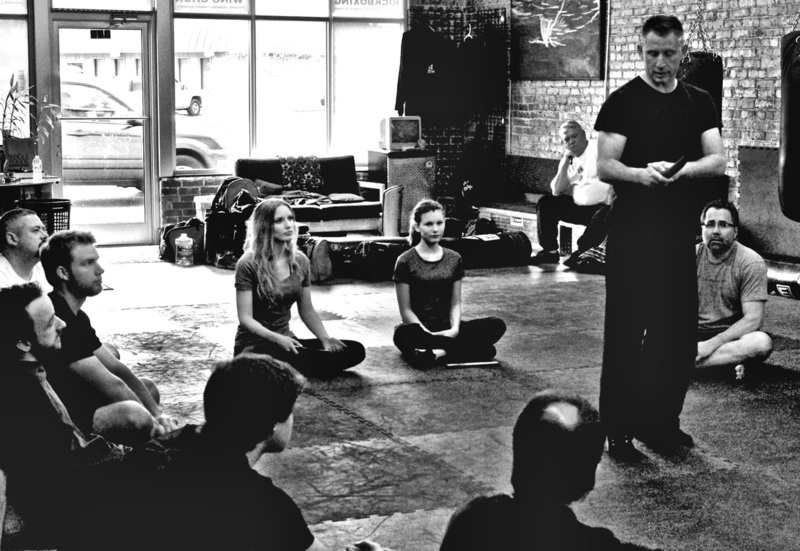 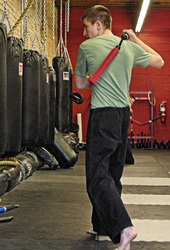 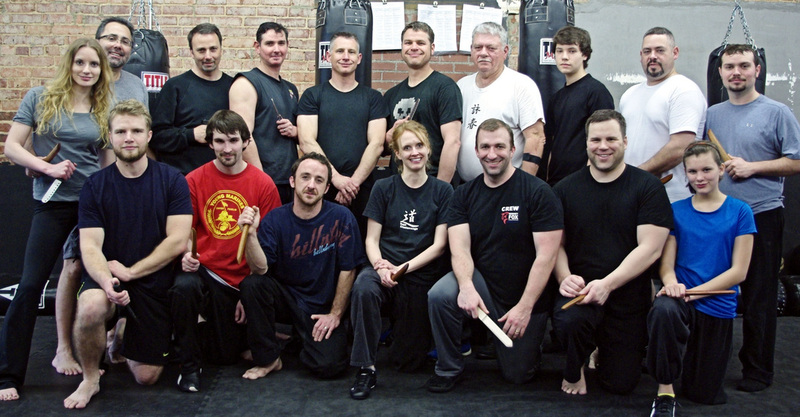 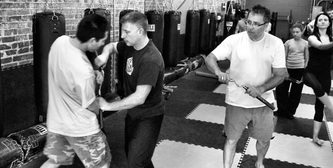 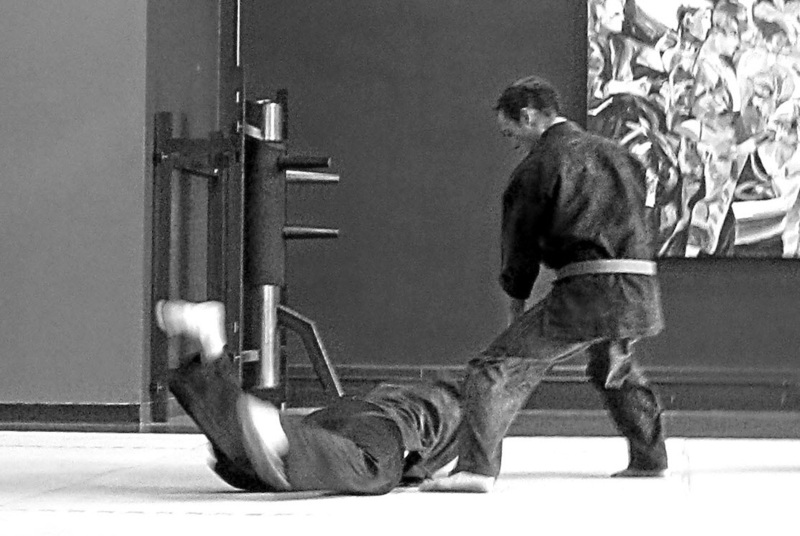 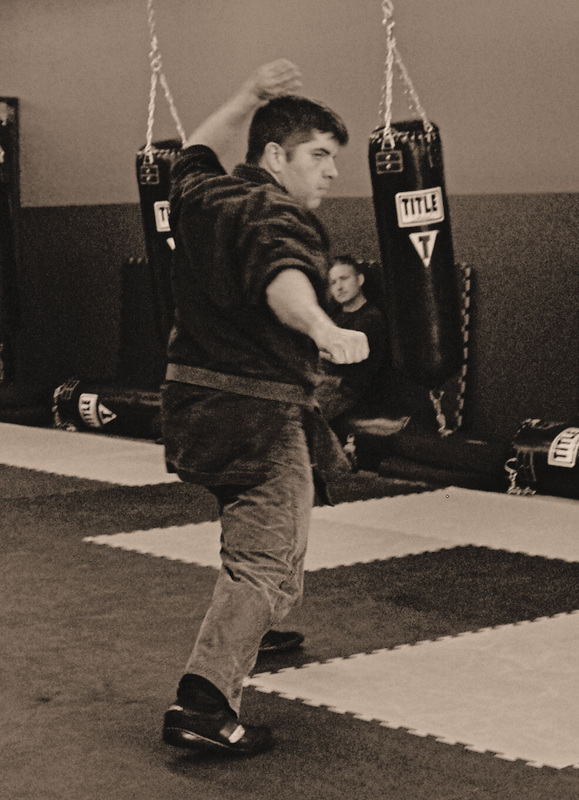 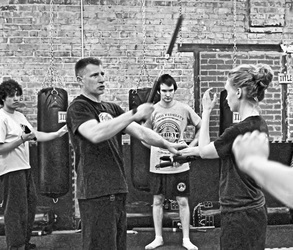 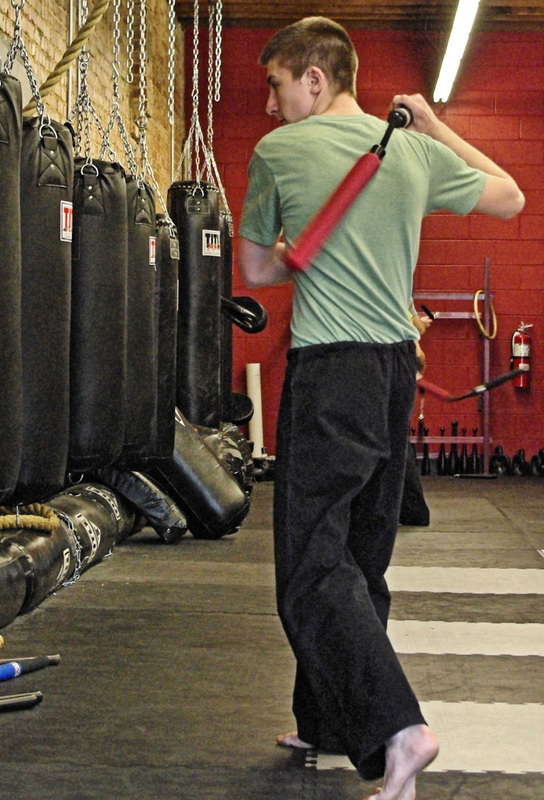 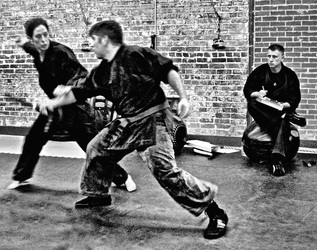 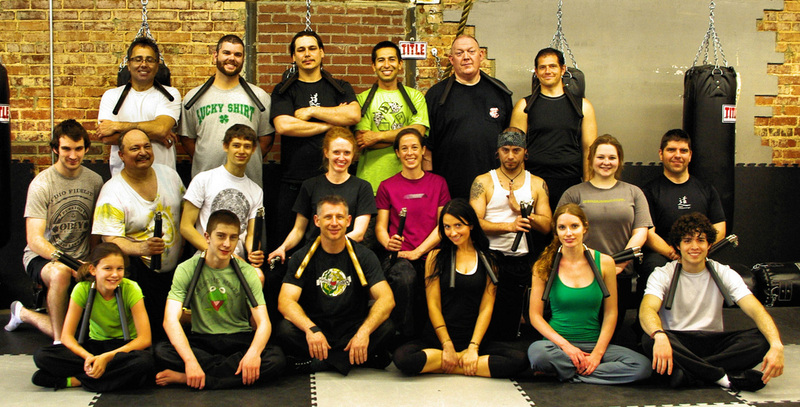 Nunchaku Handling Seminar 3/17/2012 at Dojo Chattanooga. Instructed by Trevor Haines. 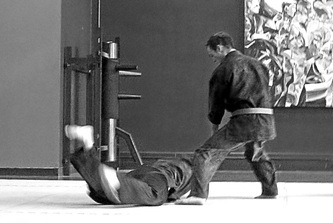 Photos by ljh. 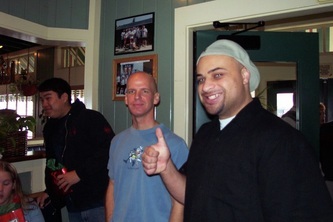 Corey Buchanan & Michael Strickland 1st Deg. 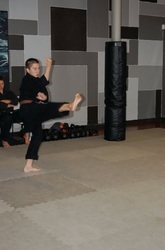 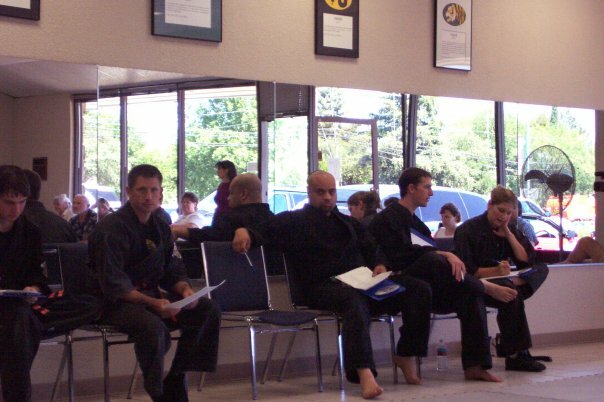 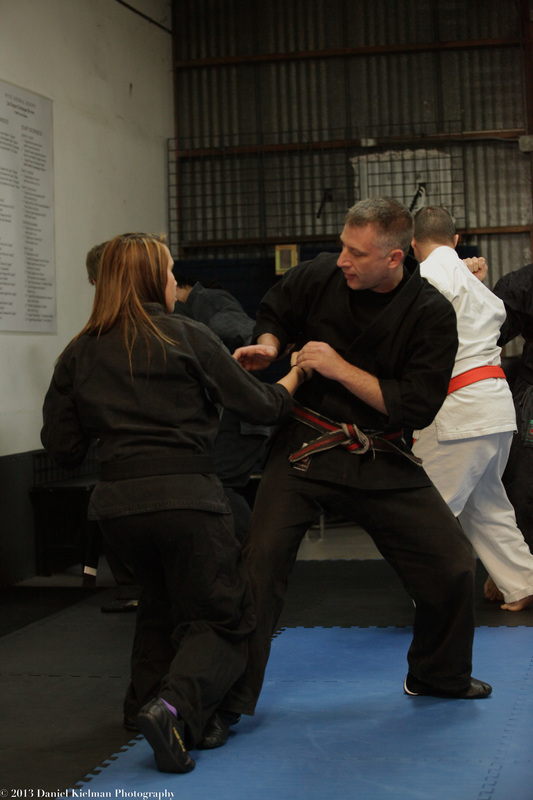 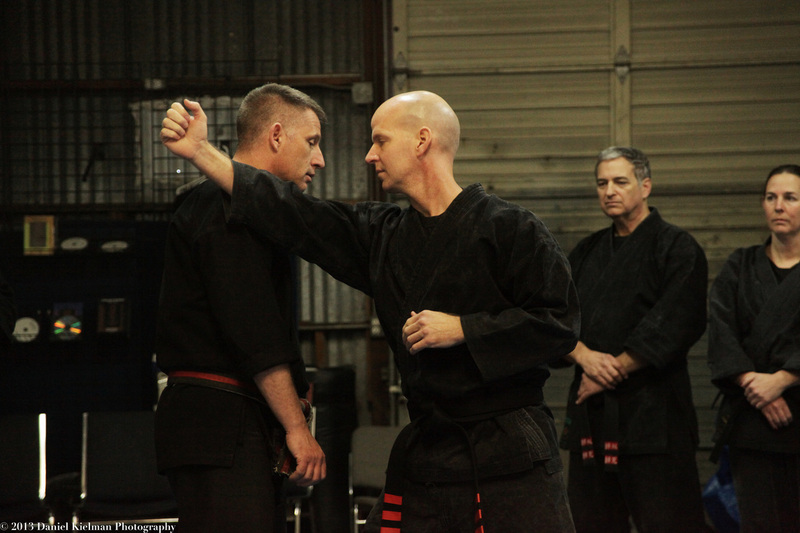 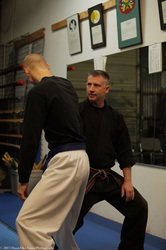 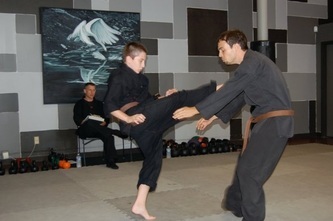 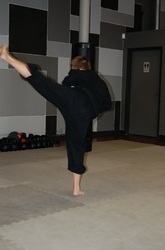 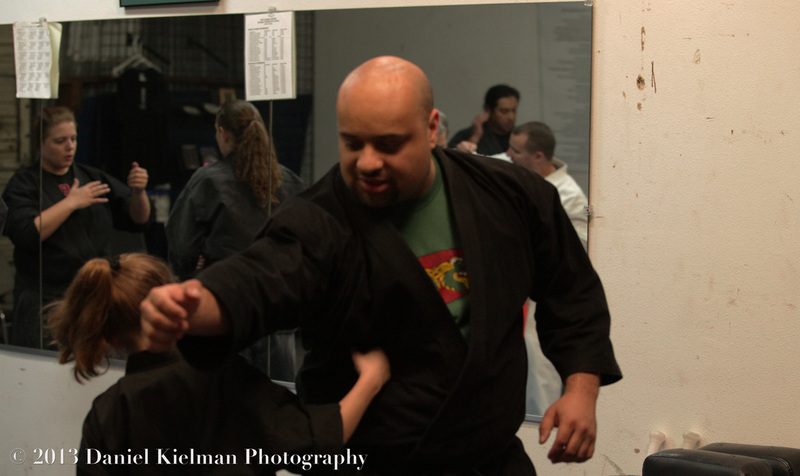 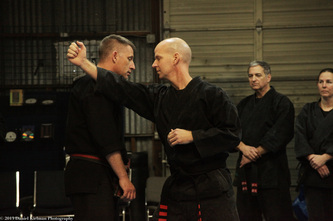 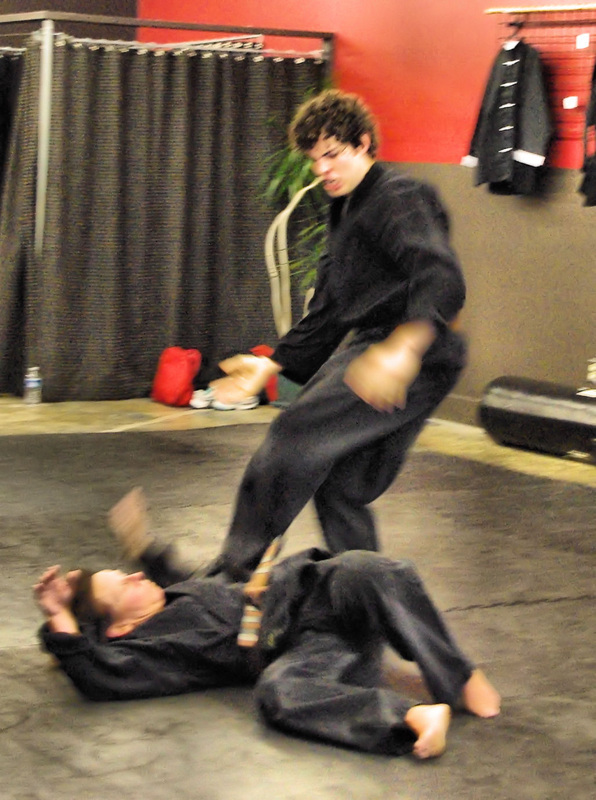 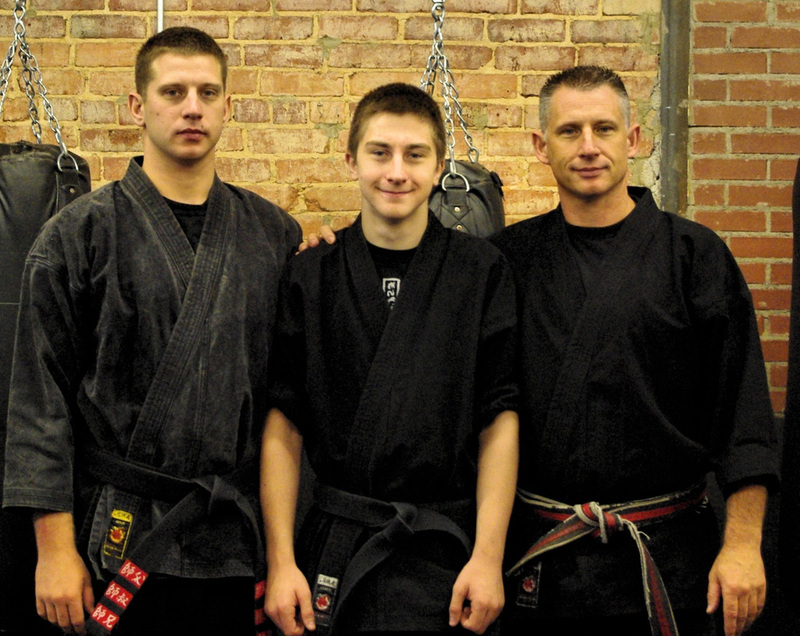 Black Belt Exam 6/18/11. 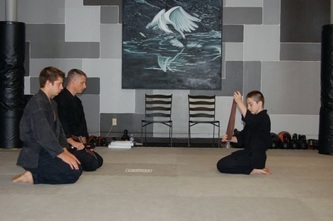 Conducted by Trevor and Zachary Haines. 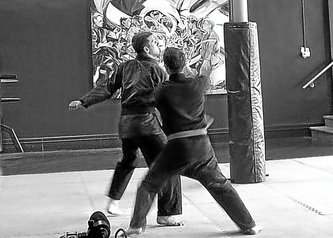 Photos by ljh. 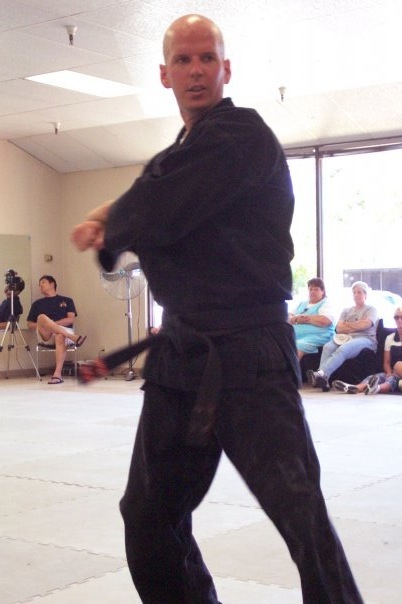 Jerry Rutherford, 1st Degree Black Belt Exam June 2010. 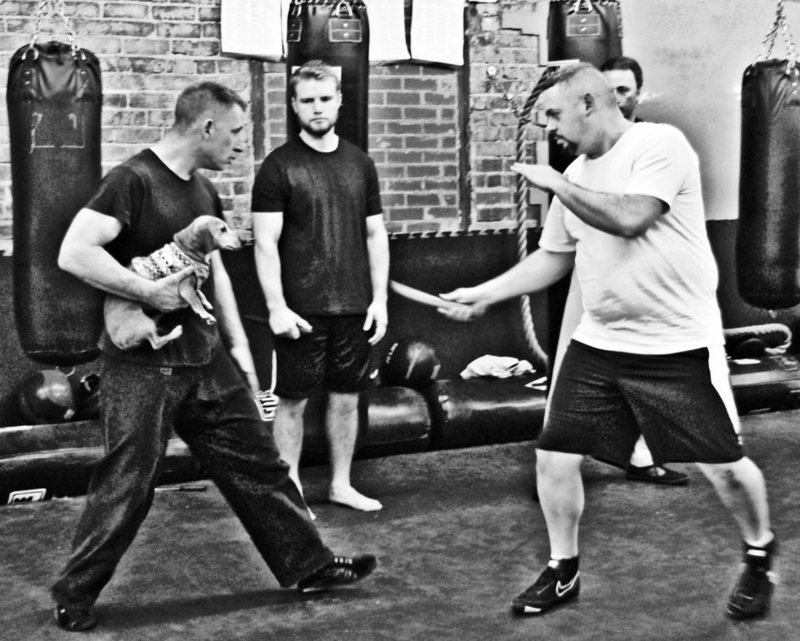 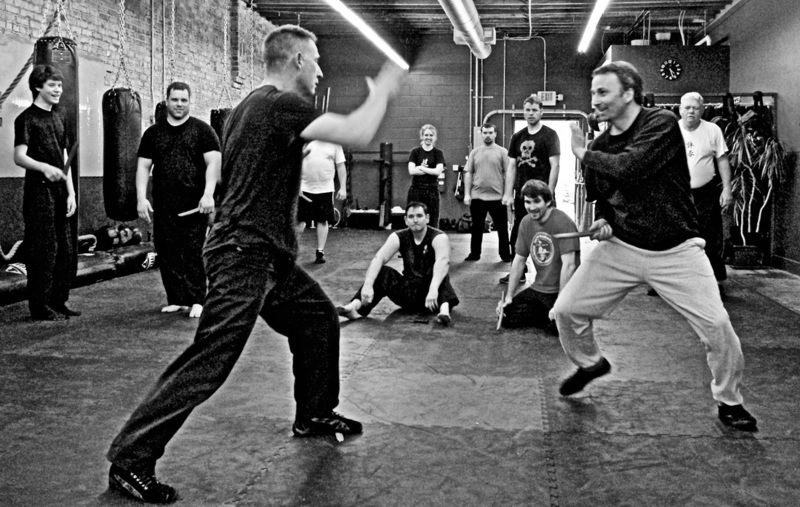 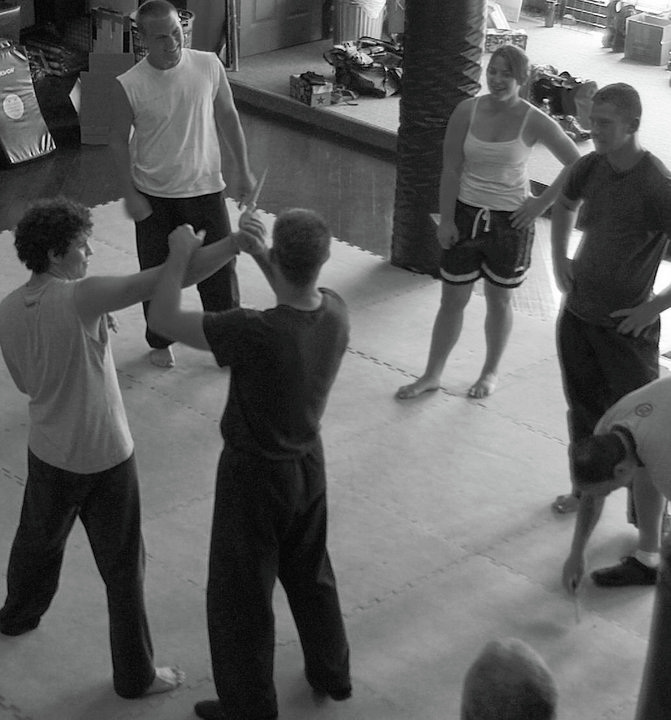 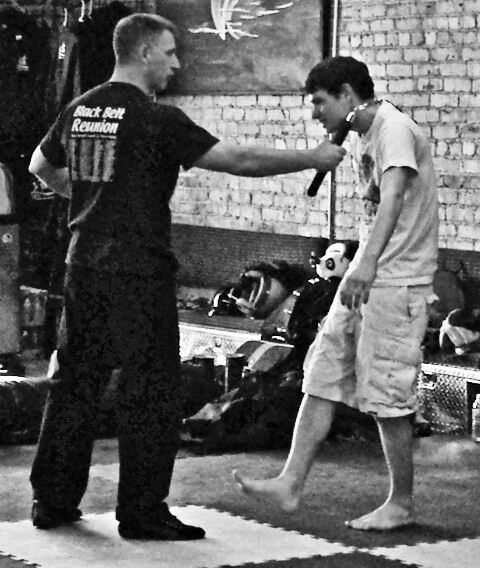 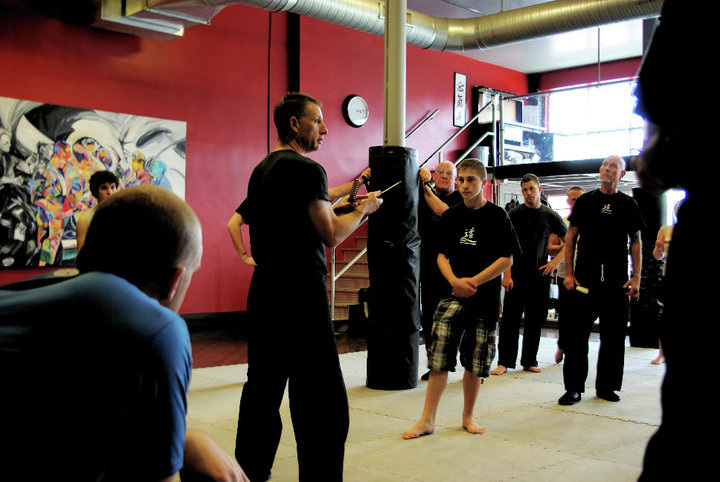 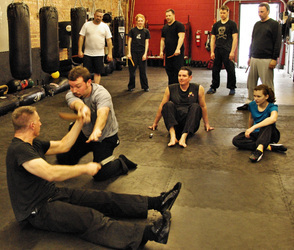 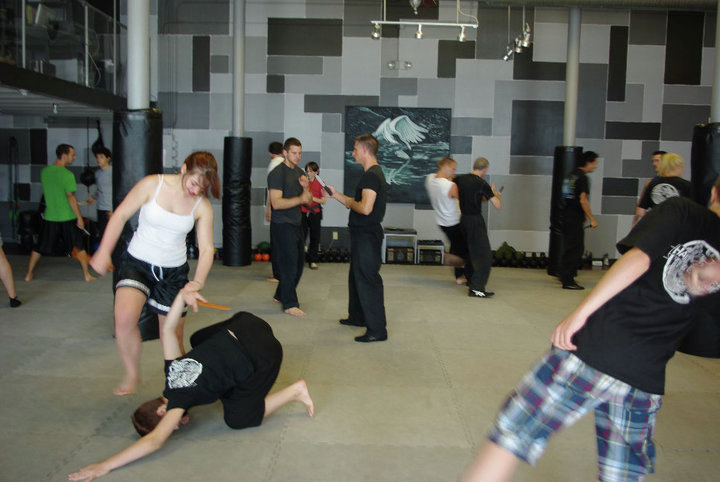 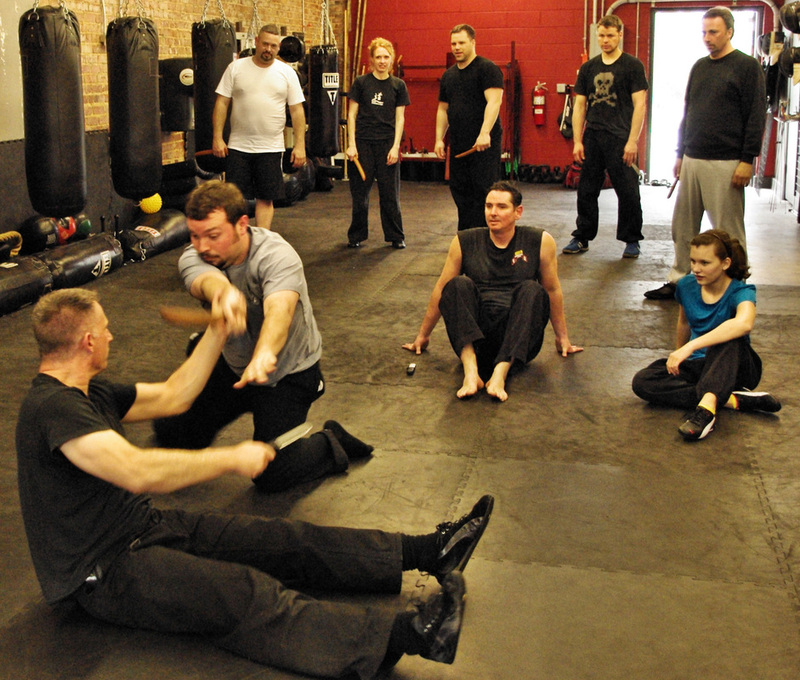 Knife Handling/Defense Seminar. Dojo Chattanooga, May 2010. 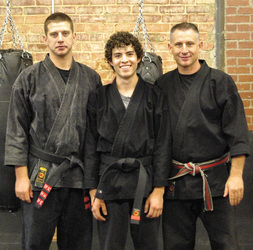 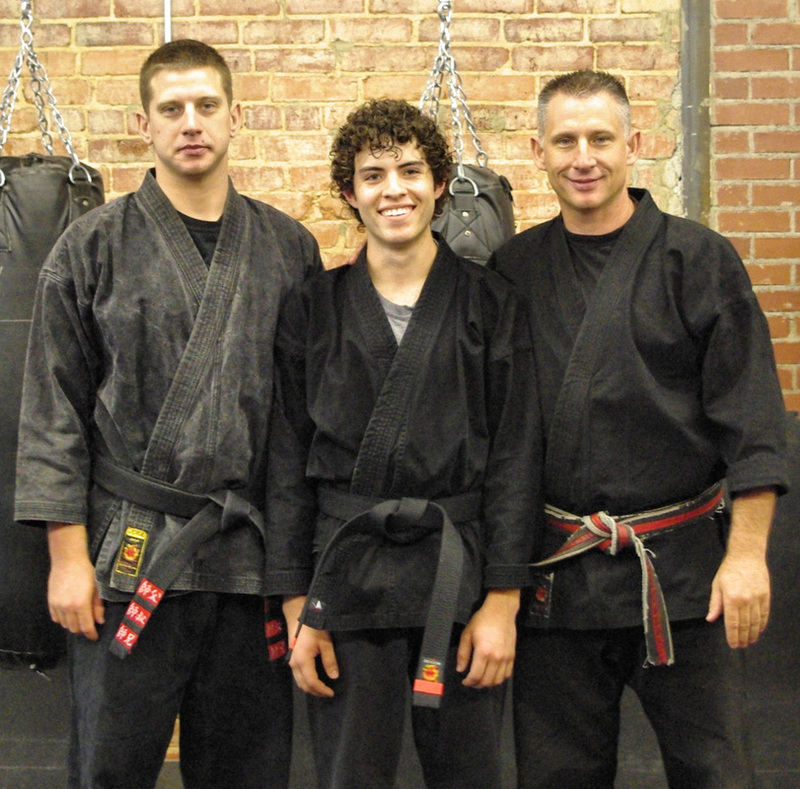 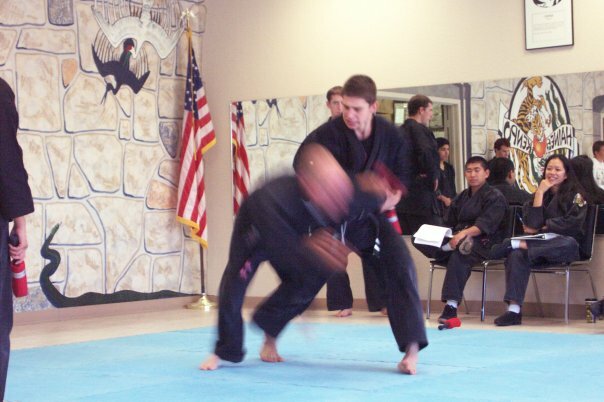 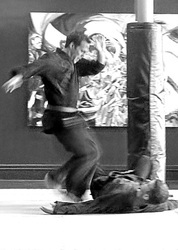 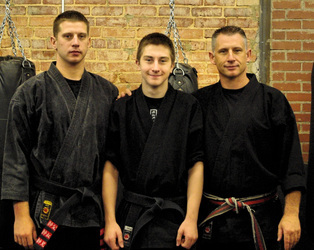 Jacob Haines, Jr. 1st Degree Black Belt Exam August 2009. 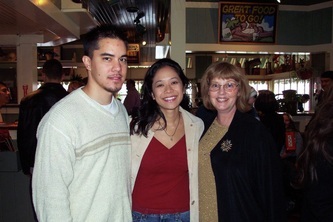 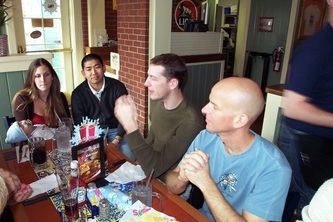 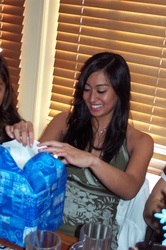 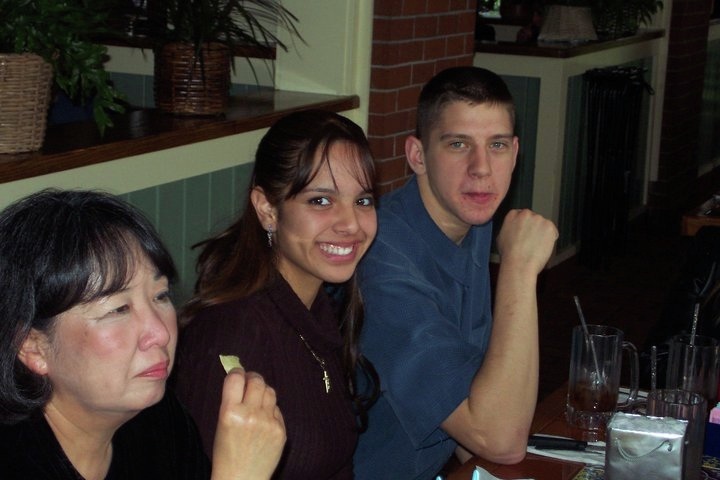 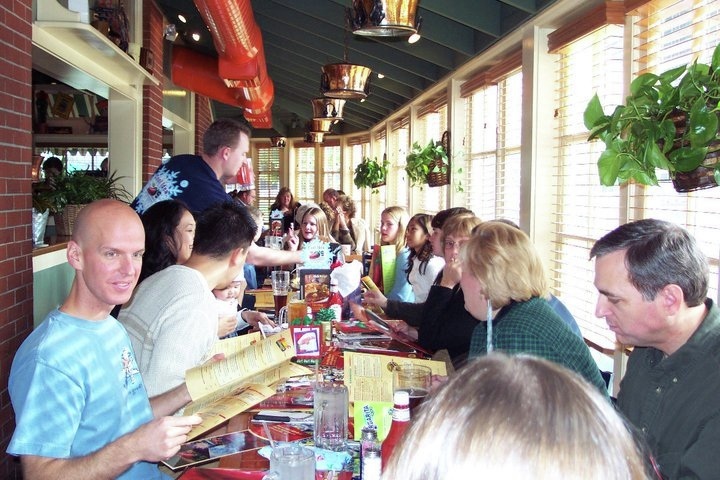 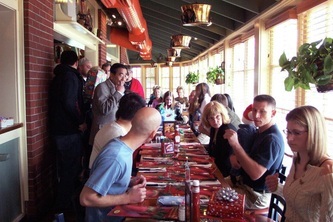 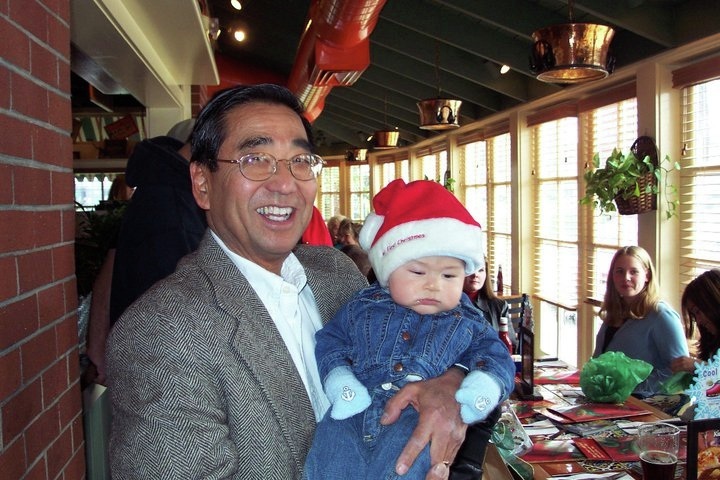 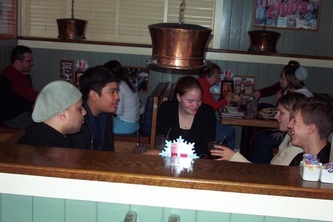 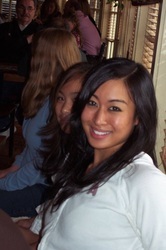 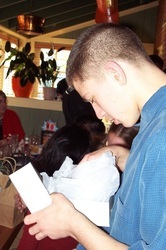 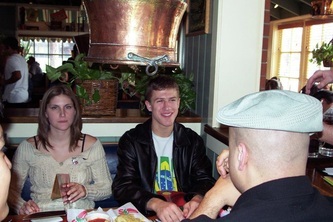 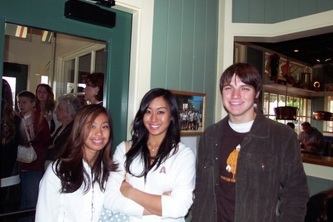 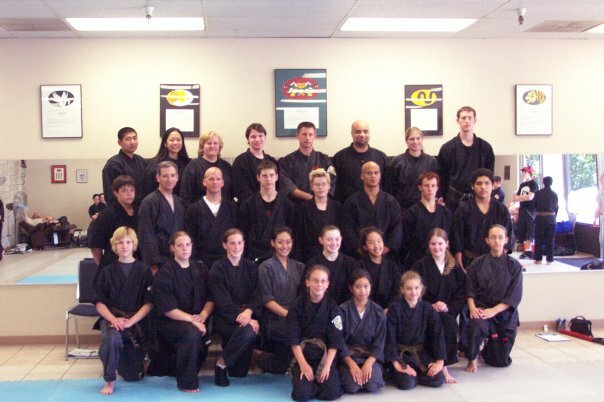 Haines Kenpo Sacramento Staff Party December 2004. 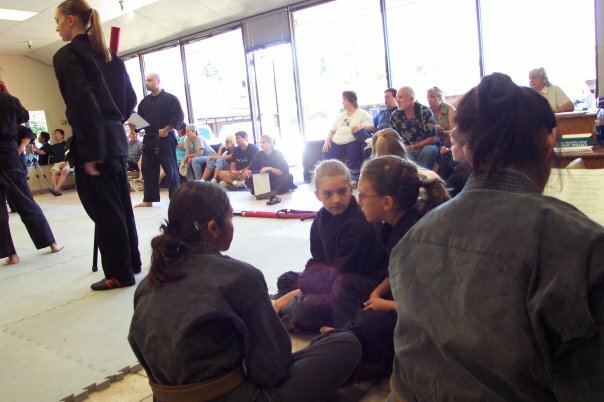 Black Belt Exams at Haines Kenpo Sacramento July 2004.